On day 3 of New York Fashion Week I had a laundry list of things to do. I had a couple of shows to attend and another style event. In addition to that, I was meeting up with a friend for dinner and a movie. So, whenever I have a jammed packed day, I like to wear easy statement making pieces. That’s why I believe in the power of the kimono. 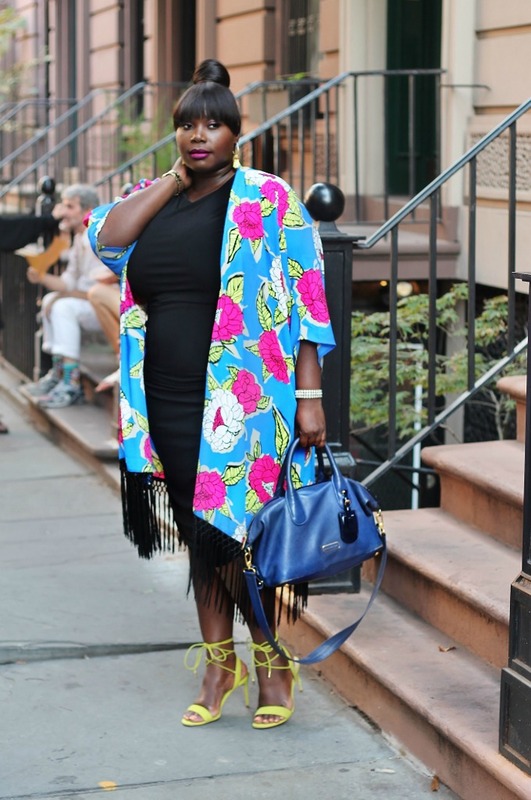 Kimono’s are my secret weapon for an instant statement making look. I try to look for ones with bold prints or bright colors. Actually, we’ve done quite a few fashion articles on kimono’s. 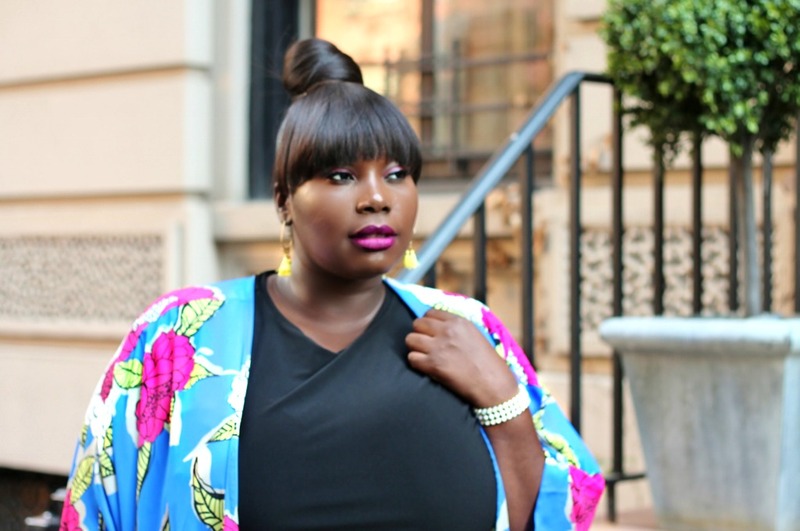 Remember my black and white graphic print look HERE and our 10 stylish plus size kimono’s HERE. 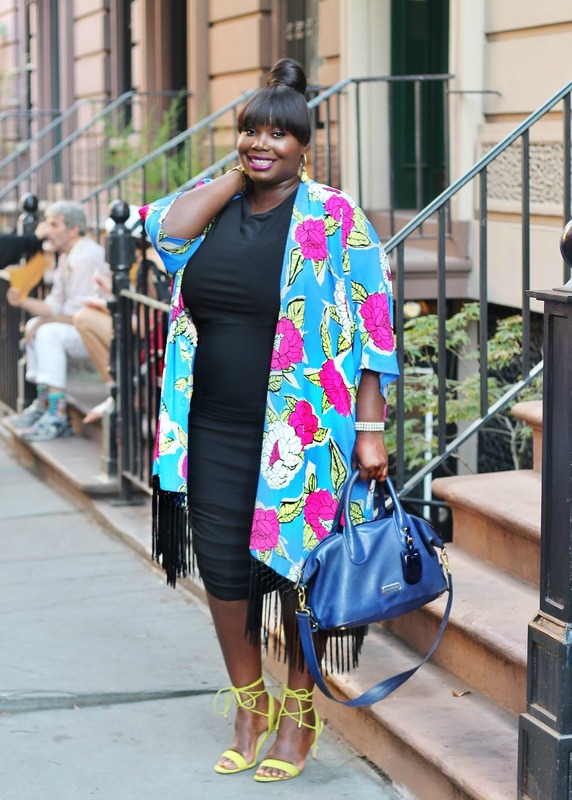 The week before fashion week, I took a little shopping trip and found this fabulous bright colored Melissa McCarthy Kimono (get it HERE) Immediately I knew it would be a dope piece to rock during NYFW. I chose to rock it with a ruched black dress from Ashley Grahams Beyond collection with Dressbarn. The black really allowed the kimono to shine on it’s on. 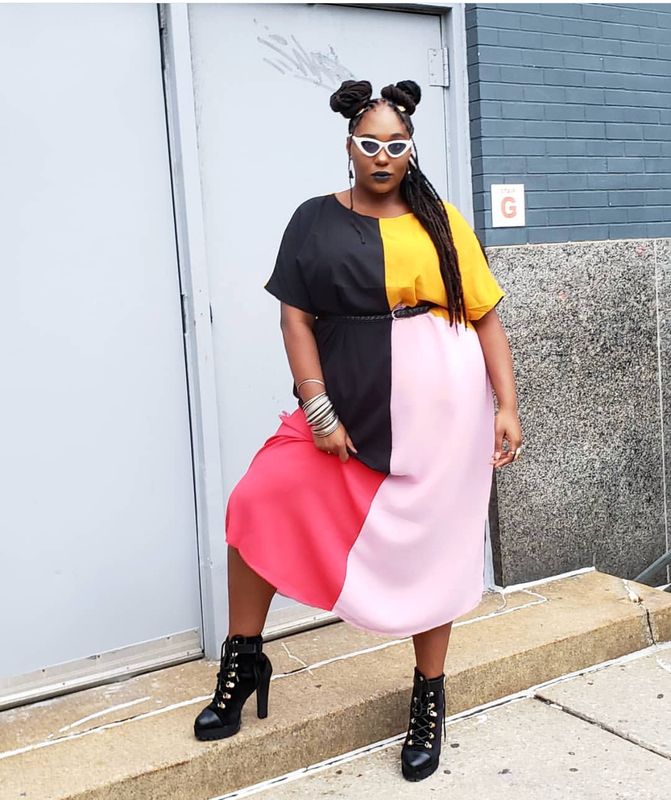 Due to the kimono being oversized, a body con dress made for a better underlying piece. Melissa McCarthy has some really cute printed pieces. This Melissa McCarthy Kimono ran big so I sized down one full size. I love the fringe detailing at the hem and the color scheme. I laced up my neon green Aldo sandals to bring out the neon green color in the kimono. For makeup, I went with a warm fuchsia eye look and matching fuchsia matte liquid lipstick from Milani. For more of my New York Fashion Week adventures, make sure to follow on me Snapchat (@Stylishcurves) and Instagram for inside looks. I read this article and found it very interesting, thought it might be something for you. 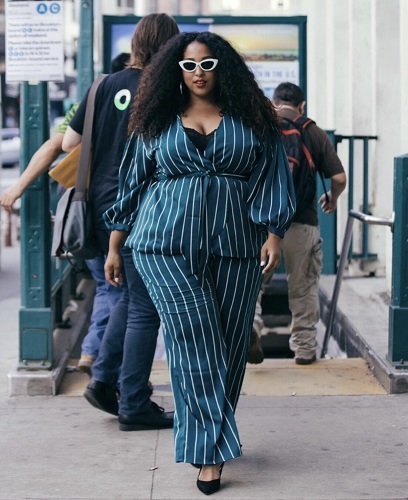 The article is called Taking On New York Fashion Week In A Melissa McCarthy Kimono and is located at https://stylishcurves.com/melissa-mccarthy-kimono/. I just loved that Kimono when I saw on Cece’s snapchat. I was able to find the 3X in my size. Thanks so much for the style inspiration! You look fabulous! Oh, so glad you found it. I hope you love it.